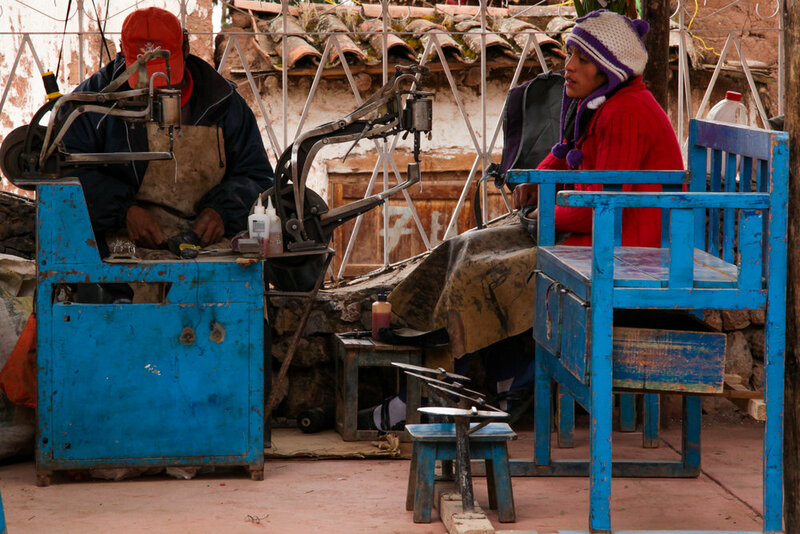 Remarkably, outside visitors usually overlook Chinchero. On the night we stayed, it seemed we were only tourists in town. This adds to the appeal. Perhaps one reason for the low visitor numbers is the higher altitude. We felt the full 3762 meters of elevation as we climbed through cobbled alleyways towards the old church. When we got to the top, on a hill where the church sits, it was the twilight golden hour. This felt like the South America one imagines before you go. Ancient asymmetrical Spanish colonial religious architecture - crooked old orange tiles, peeling whitewashed walls, sombre crosses, mournful bells and an oppressive dark atmosphere. Locals quietly shuffled about their business, pensive in the dusky evening. Apparently, the colonial church, built 1607, stands on top of the ruins of an Incan palace. The ornately painted ceiling combines both Catholic imagery and indigenous motifs. In the sizeable grassy plaza out the front women sell local weaving and other trinkets. Business seems slow. Once it got dark, we went looking for food, but the whole town seemed to have gone straight to bed. Finally, down by the main road, we found a shack selling chicken and chips. A few locals were hanging around, mostly for the old TV in the corner - beaming in a soap from Lima. It was a Saturday night. Our accommodation was the very comfortable Hospedaje Encanto de Chinchero, with polite hosts and excellent breakfast. We were their only guests. In the morning we got up early and visited the weekly market. From dawn, villagers started arriving with fruit, vegetables, grain, animals, fabric and other produce to trade. For the first couple of hours, we remained the only outsiders. Later in the morning a couple of tourist vans from Cusco rolled up. By then the market had extended to include trinket sellers, a few musicians and festivities seemed in full swing. 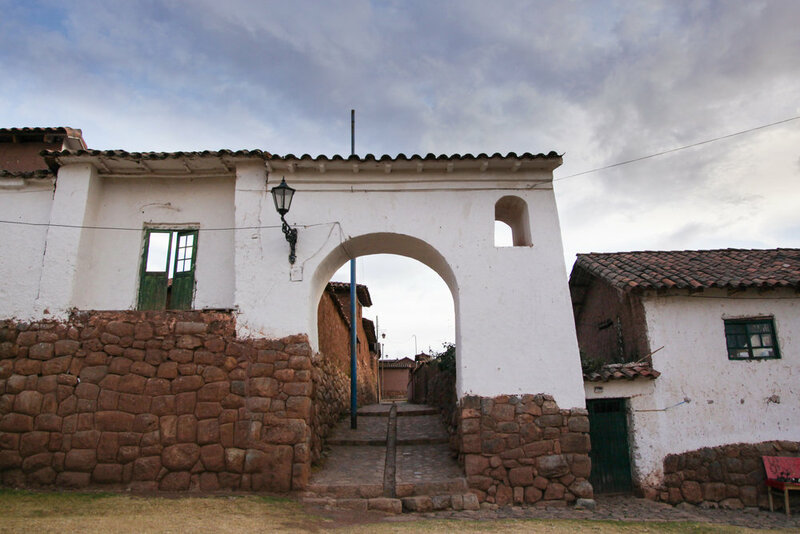 Chinchero, as it turns out, is one of the most delightful towns in the Cusco region. Less visited, it feels more authentically Andean. It is small, rural and quiet. Unlike Pisac and Ollantaytambo (both of which are also lovely), there isn’t a constant stream of outsiders passing through on the way to and from Machu Picchu. The only restaurants and cafes seem to only cater to locals. 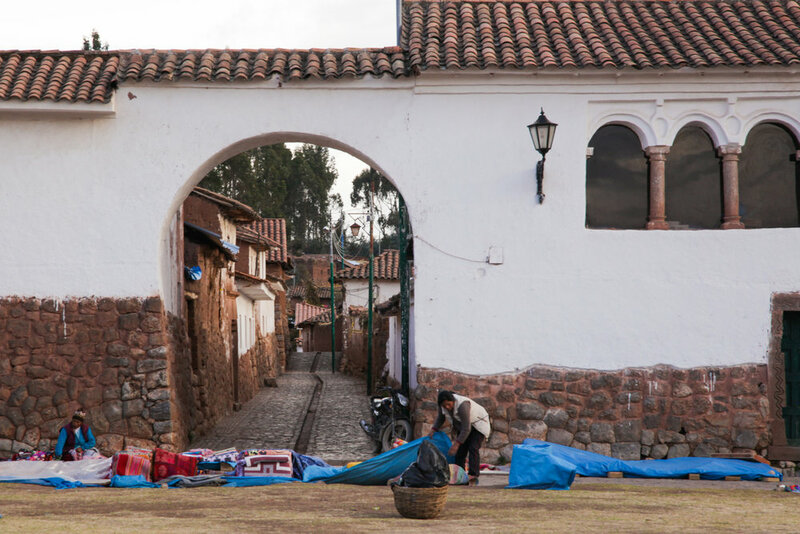 If you visit Chinchero make sure you stay a night, and if you can, make it a Saturday night so that you can visit the Sunday morning market early. 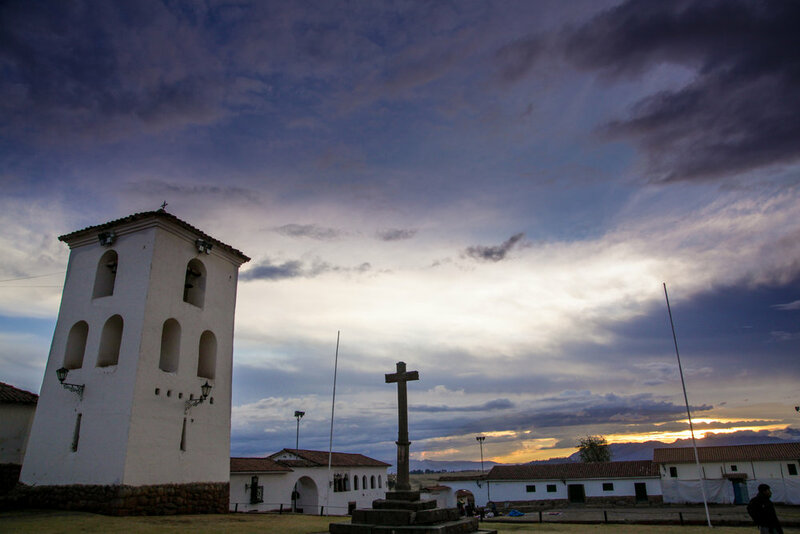 below is a video chronicling our adventures in Chinchero.